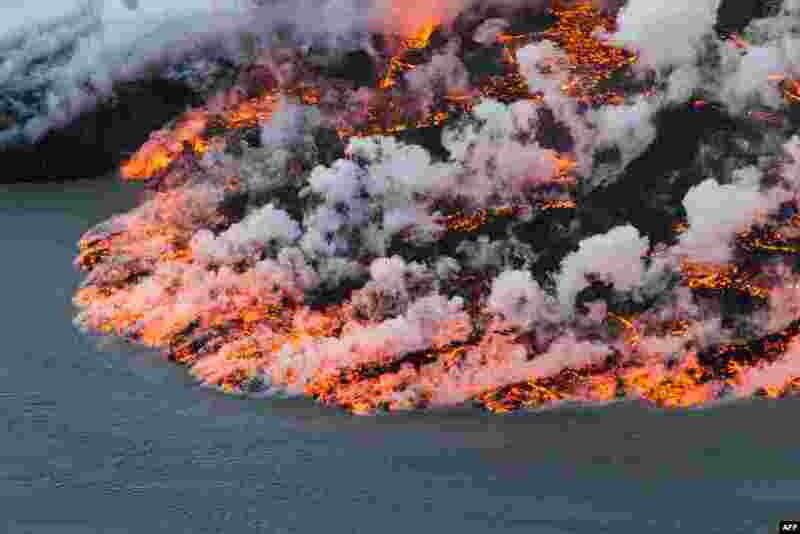 1 An aerial view of lava flowing out of the Bardarbunga volcano in southeast Iceland. The Bardarbunga volcano system has been rocked by hundreds of tremors daily since mid-August, prompting fears the volcano could explode. 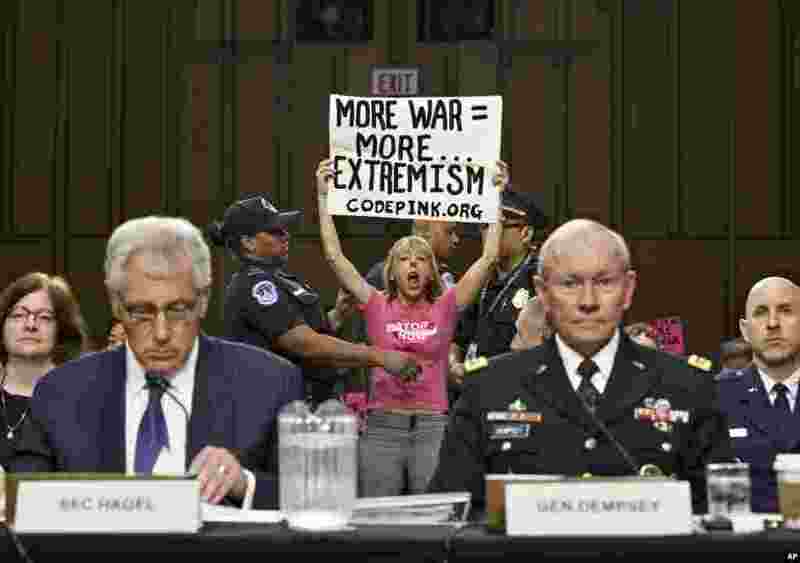 2 Members of the anti-war activist group CodePink interrupt a Senate Armed Services Committee hearing with Defense Secretary Chuck Hagel, left, and Army Gen. Martin Dempsey, chairman of the Joint Chiefs of Staff, on Capitol Hill in Washington, USA. 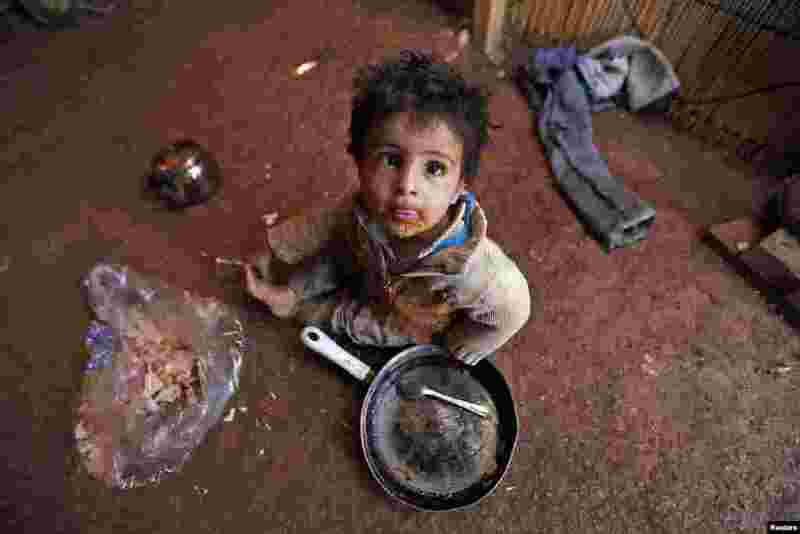 3 A Syrian refugee child eats inside his family's tent at an informal settlement in Deir al-Ahmar, Bekaa valley, Lebanon. 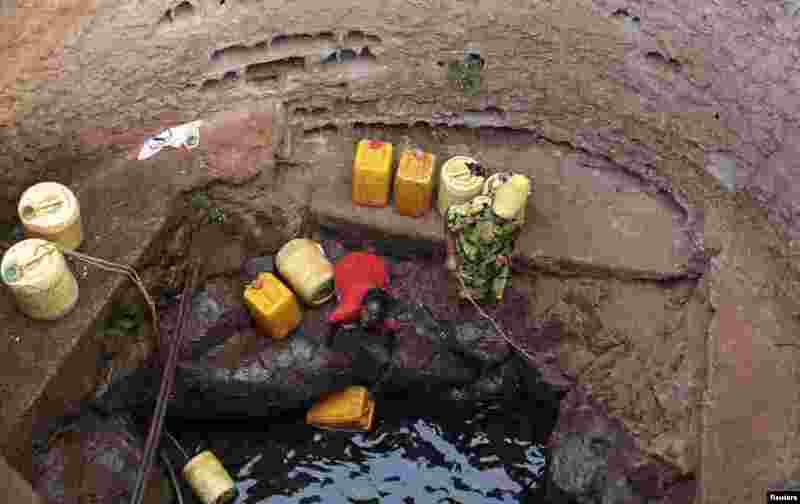 4 A woman from the Burji ethnic tribe fetches water from a well near Marsabit in northern Kenya.